What is a pack of 3 cigars? Could we consider it a serious way to learn someone start smoking or buy it from time to time to spoil ourselves with a cigar we like the most? 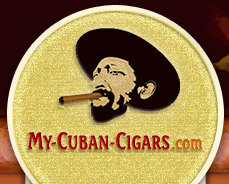 My-Cuban-Cigars.com has no doubts about its usage - it's a perfect way of trying a brand, and further decide on whether to buy or not to buy it? It is also an ideal way of travelling with your favorite cigars when you have to leave your house, but cannot live without them. Who said it would be difficult? Take a couple of packs of three cigars and you are ready for a new adventure! The happy news is that My-Cuban-Cigars.com has one of the widest ranges of cigars in packs of three - almost each Cuban brand is presented in this section, to anyone's taste. Are you a cigar dummy who is willing to enter the amazing world of Havanas or an experienced smoker, a cigar aficionado, who would like to diversify the assortment, and try something new? Then choose anything from the brands below, and start spoiling yourself with the best brands from the remote Cuban Island. Here is the list of brands we are glad to offer in the Pack of 3 cigars section: Cohiba Robustos, Siglo 1, Siglo 2, Siglo 3, Siglo 4, Siglo 5, Siglo 6; the powerful H. Upmann and such famous cigars, like Magnum 46 and 50; the milder brand Hoyo De Monterrey and its vitolas Epicure Especial in Tubos, Epicure No 2, Epicure No1 and Petit Robusto; the legendary Montecristo with its Edmundo cigars, and #2, 3 and 4, as well as the entire Open line; Partagas, Romeo Y Julieta, and Trinidad.